Get to know how you can build your children financially smart. Guiding a child to become financially smart may be a real challenge in this practical world. From an early period, a kid's mind becomes obsessed with material desires and requirements. They learn financial habit by seeing their parent. Sometimes parents also make financial mistakes and ignores the value of money just to meet all of their requirements. But it shouldn’t happen with kids belongs to any class. They are supposed to get a better financial future. It’s statistically proven that the middle-class raises the next middle-class generation, the rich raises the rich and the poor raises the poor. There are few kids who did manage to grow up beyond their parent's class. However, falling from their origin is quite as simple as climbing down a ladder. Yes, you can expect your kids to do more damage in their financial life in future. They won't have the capacity to make a change between your level of wealth in a positive direction. They will earn but at the same time spend more. Today, your kids are building a habit of using quick credit and other frequent payment modes for shopping. They’re forgetting about the habit ”save to spend”. You also can't expect to teach that lesson to your kids, which you do not follow yourself. Most parents don’t want to discuss financial matters with their kids. But unfortunately, that'll only make the scenario worse; they’ll not learn any financial lesson. Normally, parents want to avoid talking about finances with their kids as they consider it as an "adult" content. They think a child can only engage in these things when he/she grows up, and not before. It’s wrong. If you don’t tell them about it today, then how come they’ll learn to manage it tomorrow? There’ll be a huge misunderstanding if you don’t discuss money matters with your child. A message will convey to him/her that money is a neglectable thing or unimportant to think about. For many children, this may create a problem in their school life. You can’t deny the fact that your kids are going to learn all kinds of basic financial behavior from you. But, if you want to provide them the best money related habits, you need to develop a plan to do this perfectly. This’ll help them to understand what you’re trying to teach them. A good move is to grant them an allowance. It is not possible for you to know when your kids are ready enough to handle an allowance. If you start early, being a child, your kid won't understand the importance of the money. A kid will know his responsibilities when he can understand your words and their meaning properly. When your child reaches that level, there are three allowances you can pick for them: a. income system, b. reward system and c. gift system. The first system is the income system. It’s more like earning in real life. Pick a job for your kids which they generally never did before. For example, mowing the lawn, washing your car, cleaning the garage, etc. You can pay him/her just like a customer. Basically, you’re making him/her work to get an allowance. This work will be outside of the regular duties. This allowance may vary depending on the work, time and performance. But it’ll give your kid a greater benefit, that is, building up the passion for earning money from childhood. Nothing will be more encouraging and exciting than earning money by doing hard work. The kids will be happy to make their own income. You can also prepare a job sheet. Allow your kids to check it and update it as they finish their regular duties, one by one. If your kids don't keep up with their duties, they will not earn a single penny. This way they’ll learn the value of money along with the value of completing a job within time. 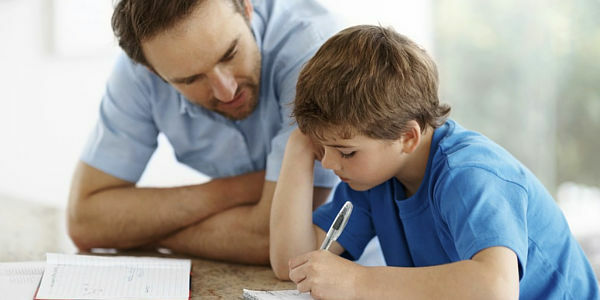 The reward system is a good system for giving your child periodical allowances. Through this system, parents arrange some jobs for their kids to perform on a weekly or monthly basis. After the completion of the job, parents pay a reward to the kids. Jobs normally include tasks like cleaning clothes, washing dishes, mowing the lawns, fixing the fence, etc. If the kids cannot perform well or even fail to do the jobs, there is provision for punishment too. But, there are also some disadvantages in this system. In return of rewards, you are actually making your kids do their regular duties. Young kids may misinterpret this behavior and further they’ll build a habit for not doing any job without rewards. The gift system is much cooler than the above two. It consists of regular monetary gifts for your kid and absolutely not dependent on any task. Parents normally start the gift system just to make their kids smile. This system can be regular or periodical, but it is constant. You’ll not be lowering or increasing the amount of gift as per your kid's behavior. However, there are few disadvantages in this system, too. Your kid will not get any kind of self-satisfaction, which he/she might get by doing a job. He/she will not sense the value of time, hard work, and money through this system. So, it’ll be difficult to make him/her understand the fiscal responsibility when your kid gets the money without doing any hard work or even desiring it. The parents, who are practical about making their child a responsible citizen of the nation, can’t deny the importance of monetary lessons that their kids learn from them. Just giving some allowance is not the solution. The allowance system has an impact on your kids, both financially and mentally. So, apart from just providing money, you must talk to them about how to use that money.